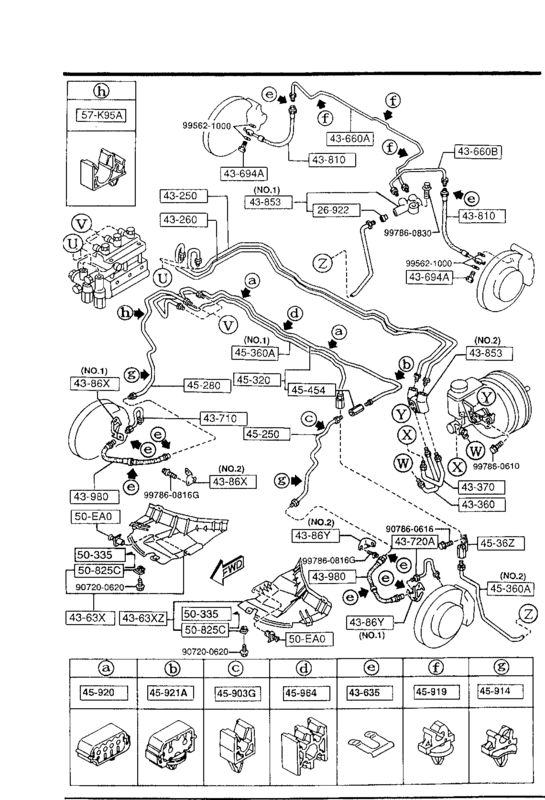 So I am trying to find the part number or correct description for a part for my 94 FD3S. It is the OEM duct that clips to the plastic under the oil cooler. It ducts the air from the OEM lip and kinda directs it towards the brake shields. If anyone knows what this part is called or its part number so I can try to order one I would appreciate it. Searches for front lip duct, brake duct and front spoiler duct all come back with aftermarket stuff for different bumpers/lips. Just call Ray Crowe -- he knows them all by heart. Plus, best prices and service anywhere. I'm always amazed at his knowledge and prices. mazda calls it a duct air brake pipe. its in an odd place in the catalog, with the brake pipings. Also, while they are actually 2 parts, you have to order the whole assembly from Mazda to get the R1 brake ducts. I remember it being a bit more than they should be, but not TOO bad considering FD parts prices. Thank you so much. I had been combing over the body fiche over and over going crazy. never thought to look under the chassis fiche!?!?! Appreciate all the help guys!